A fundraiser supporting Judge James A. Shapiro's bid to be elected from the 8th Subcircuit has been moved to September 21, according to an email received from Shaprio's campaign. The event was moved, according to the email, to avoid a conflict with the Justinian Society of Lawyers Dinner. A copy of the flyer showing the new date and time for the Shapiro fundraiser is included in this post (click to enlarge). For additional information, see the Shapiro campaign website. The Illinois State Board of Elections has posted the 2012 Candidate's Guide. That link will take you directly to the 64 page .pdf document. Please note: I am not an election lawyer. The Illinois State Board of Elections has now posted a comprehensive list of judicial vacancies, current as of August 17. What follows is a list of the Cook County Circuit Court vacancies identified by the ISBE; where vacancies have been filled, I've provided the name of the appointee. If I've missed anyone, the omission was not intentional and I will be pleased to update this list as necessary. * This vacancy was created by the retirement of Judge Jennifer Duncan-Brice, but she was, if memory serves, elected as a city-wide judge prior to the establishment of the subcircuit system and her vacancy was assigned to this subcircuit. The Chicago Tribune reports this morning that the Illinois Supreme Court has agreed to "no longer use their 'recall' power to keep judges on the bench after they lose an election." The linked Tribune article, by Jeff Coen and Todd Lighty, notes that "since 2000, the Supreme Court has reappointed 18 judges to the Cook County Circuit Court bench after they were turned away at the polls, including 13 currently hearing cases." Many of these, the Tribune article notes, have been active in Democratic politics. The article quotes Malcolm Rich, the executive director of the Chicago Council of Lawyers, and David Morrison, deputy director of the Illinois Campaign for Political Reform, as praising the move. Morrison said the old policy of recalling some judges defeated at the polls (whom he characterized as "voters' rejects") was disrespectful to the voters. And Mr. Rich, for one, was only cautiously optimistic that the Supreme Court would stick to this policy, noting that the court had adopted a similar policy in 1993. Let's try and put this in perspective, however. First, the hue and cry which arose in the early 90's over the recall of judges defeated for election swirled largely around one judge, the late Angelo Mistretta, who was defeated in the 1990 retention election -- a straight up and down vote on whether he should be retained in office. Mistretta's 1990 retention bid was opposed by both the Chicago Bar Association and the Chicago Council of Lawyers. The Council was so upset by Mistretta's recall to judicial service that it threatened to sue. William Grady's November 19, 1992 article for the Chicago Tribune noted that 10 of 27 judges recalled to the bench that month "would have been forced to step down after losing contested primaries last March." Grady's article acknowledged that this group "includes some highly regarded judges who were defeated in the primary." But Grady pointed out two of these (other than Judge Mistretta) had "received negative evaluations from the reform-minded Chicago Council of Lawyers before the primary." And therein hangs the distinction between the current controversy and the one 20 years ago. Much as we might wish it otherwise, too many voters select judges on the basis of sonorous appellations or because the name was on a palm card handed them as they walked into the polling place. Many of the individuals, therefore, who have defeated appointed judges in primary elections are persons who are, in the opinion of some (and sometimes all) of the evaluating bar associations, not qualified to serve on the bench. This does not mean the the persons who've won election will not become fine judges. Most of them, even those who were unable to garner strong support from the bar associations when first seeking office, wind up having useful and honorable careers -- and it is a fact that many persons who were unable to secure positive evaluations as judicial candidates find that the same bar associations will endorse their retention bids as sitting judges six years later. But the eventual success of the judges ultimately elected does not, and should not, automatically disqualify from further service those that could not (whether because of an inability to obtain party endorsement or otherwise) prevail in a primary election. Traditionally, at least in Cook County, the Supreme Court will not recall judges to service against the wishes of the Chief Judge of the Circuit Court of Cook County. In other words, the recalled individuals were found worthy of appointment by the Supreme Court in the first place and then functioned well enough in office that their supervisors asked to have them returned despite their electoral misfortunes. Some of them, it is true, are related to other judges by blood or marriage. Everybody comes from somewhere. But they didn't get on the bench in the first place until all the bar associations said they were worthy of donning a robe. That was not always the case in the 1990's. And yet, even in 1993, when the Supreme Court previously agreed to stop recalling judges who'd lost their places at the polls, then-Chicago Council of Lawyers President Barry Miller told the Tribune's William Grady, that the new policy, while "clearly proper," would mean that the bench would lose some good judges. Today, under this new policy, all of the judges who have been serving under recall orders, but who lost their primary bids, would be considered qualified. How does the loss of these jurists benefit either the court or the public? Most (though not all) of the major bar associations endorse the idea of merit selection of judges in Illinois -- an appointive system as opposed to our present electoral system. The Chicago Council of Lawyers is second to none in its endorsement of merit selection. But it is today applauding the demise of a de facto merit selection system that had been running in tandem with the electoral one. Obviously, I just don't understand politics. State Sen. John G. Mulroe (D-10) will host a Community Resource Fair on Saturday, August 27 at Dunham Park, 4638 N. Melvina, from 10:00am to 2:00pm. Admission is free. As the linked flyer indicates, representatives of many government agencies will be present, including the Chicago Police and Fire Departments, the Illinois Secretary of State, and the Attorney General's Office. While grandparents pick up information for seniors and parents get college financing information from the Illinois Student Assistance Commission or get a free blood pressure screening (these last two being not entirely unrelated), kids can visit an inflated jumping house, play games or get their faces painted. Veterans United; and the American Legion - Billy Caldwell Post 806. For more information, call Senator Mulroe's office at 773-763-3810 or visit the senator's website. Meanwhile, 41st Ward Alderman Mary O'Connor and Resurrection Health Center will sponsor a Children's Health Fair on Saturday August 27 from 9:00am to noon on the hospital grounds, 7435 W. Talcott. As the linked flyer indicates, free health screenings will be available -- but registration is required. Call 877-737-4636 to register or for more information. There will also be teddy bear checkups for any teddy bears that the kids happen to bring, an obstacle course, interactive Wii demonstrations and, of course, face painting. Any children on the Northwest Side whose faces remain unpainted on Saturday afternoon will, apparently, have only themselves to blame. Persons searching on-line for information about judges and judicial elections in Cook County and elsewhere in Illinois are likely to find frequent references to pages on Judgepedia, a Wikipedia-type site that covers judicial issues nationwide. If you know of any other blogs covering Cook County judges or judicial elections, please leave a link in the comments or send me an email. The posted deadline for returning Alliance questionnaires is September 1; forms are available on the Illinois State Bar Association website (yes, that's a link to the site). The Alliance of Bar Associations for Judicial Screening is comprised of the Asian American Bar Association of the Greater Chicago Area (AABA), Black Women Lawyers’ Association of Greater Chicago (BWLA), Chicago Council of Lawyers (CCL), Cook County Bar Association (CCBA), Decalogue Society of Lawyers (DSL), Hellenic Bar Association (HBA), Hispanic Lawyers Association of Illinois (HLAI), Illinois State Bar Association (ISBA), Lesbian and Gay Bar Association of Chicago (LAGBAC), Puerto Rican Bar Association of Illinois (PRBA), and Women’s Bar Association of Illinois(WBAI), working collaboratively to improve the process of screening judicial candidates in Cook County, Illinois. Per email received from former Asian American Bar Association President Anne I. Shaw, a campaign website has been established for Judge Laura Liu. That's a link to the site in the preceding sentence; a link has also been added to the sidebar. Judge Liu was appointed by the Illinois Supreme Court to the "A" vacancy in Cook County's Eighth Judicial Subcircuit. A fundraiser in support of Judge Liu's campaign has been scheduled for Thursday, September 1, 2011, from 6:00 to 8:00pm, at the Phoenix Restaurant, 2131 S. Archer. According to the invitation accessible on the campaign website, Mayor Rahm Emmanuel will be a "special guest" at the reception. Individual tickets are priced at $150; sponsorships are available. Per email received, a campaign website has been established for Judge Erica L. Reddick. That's a link to the site in the preceding sentence; a link has also been added to the sidebar. 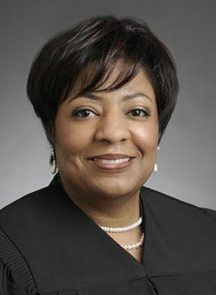 Judge Reddick was appointed by the Illinois Supreme Court to the countywide vacancy created by the retirement of Judge Dorothy Kirie Kinnaird. A campaign website has been established in support of Sharon Finegan Patterson's bid for a seat on the Cook County bench in 2012. That's a link to the site in the preceding sentence; a link has also been added to the Sidebar. Patterson finished second to Terry MacCarthy in the 2010 race for the countywide Bronstein vacancy. Her new website does not disclose what seat she is pursuing in 2012. Fourth Subcircuit Judge Kevin Horan was recently interviewed by Avy Meyers on North Town News Magazine. With Mr. Meyers' permission, that interview is posted below. Eighth Subcircuit Judge Deborah Jean Gubin was recently interviewed by Avy Meyers on North Town News Magazine. With Mr. Meyers' permission, that interview is posted below. The American Bar Association is soliciting nominations for its annual list of the 100 best legal blogs (a/k/a "blawgs"). The Amici form asks for comments about the nominated blogs. There is a 500-character limit -- but this shouldn't pose a problem for dedicated Twitterers. Or is that tweeters? Twits? Blog, er, blawg nominations are due by September 9. Eighth Subcircuit Judge James Shapiro was recently interviewed by Avy Meyers on North Town News Magazine. With Mr. Meyers' permission, that interview is posted below. It should soon become easier to responsibly dispose of more electronic equipment under new legislation signed yesterday by Gov. Pat Quinn. According to the Governor's press release, PA 97-287 "expands the types of electronic products that will be subject to the state’s landfill ban. Current law requires computer monitors, televisions and printers to be diverted from landfills. 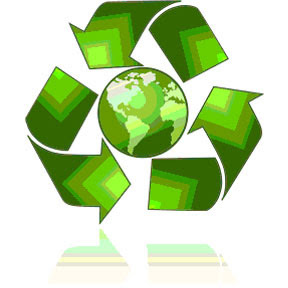 Under the new law, the list of items required to be recycled is expanded to include keyboards, portable music devices, scanners, videocassette recorders, video game consoles and more." It's not enough, of course: While there are several new electronic devices covered, most electric appliances aren't included. Just to cite one example, did you burn out a fan or two in this summer's heat waves? Good luck finding some place to recycle those. But it's a step in the right direction. The legislation creates an incentive to recycle a number of new products and someone should find a way to make money by so doing. For the text of PA 97-287 (SB 2106), click the link in this sentence. As mentioned here last month, Deidre Baumann is planning a bid for judicial office in 2012. Baumann, who finished second to Judge William H. Hooks in the race for the countywide Berland vacancy in the 2010 primary, was recently interviewed by Avy Meyers on North Town News Magazine. With Mr. Meyers' permission, that interview is posted below. The Independent Voters of Illinois - Independent Precinct Organization will host a ballot access workshop on August 25 at the Chicago Temple Building, 77 West Washington Street (2nd floor). The workshop will run from 6:30 to 9:30pm. The cost is $25. Scheduled speakers include election attorney Richard K. Means and Cook County Clerk David Orr. To register for the workshop, or for more information, visit the IVI-IPO website. My thanks to Avy Meyers and North Town News Magazine for the link. I will shortly be posting interviews that Meyers has already done with several declared 2012 Cook County judicial candidates. Thomas J. Carroll, a criminal defense attorney and former Assistant Public Defender, has been appointed by the Illinois Supreme Court to the Third Subcircuit vacancy in Cook County that will be created by the August 31 retirement of Judge Colleen McSweeney Moore. Assistant Public Defender Bruce Eli Mosbacher calls Carroll "a great guy" and "perfect judge material." Carroll's appointment is effective September 1, 2011 and will terminate December 3, 2012. At the time of his appointment, Carroll maintained a law office in south suburban Palos Hills. An attorney since 1988, Carroll filed for both the countywide Hayes and Kelley vacancies in the 2010 primary but withdrew from both races.